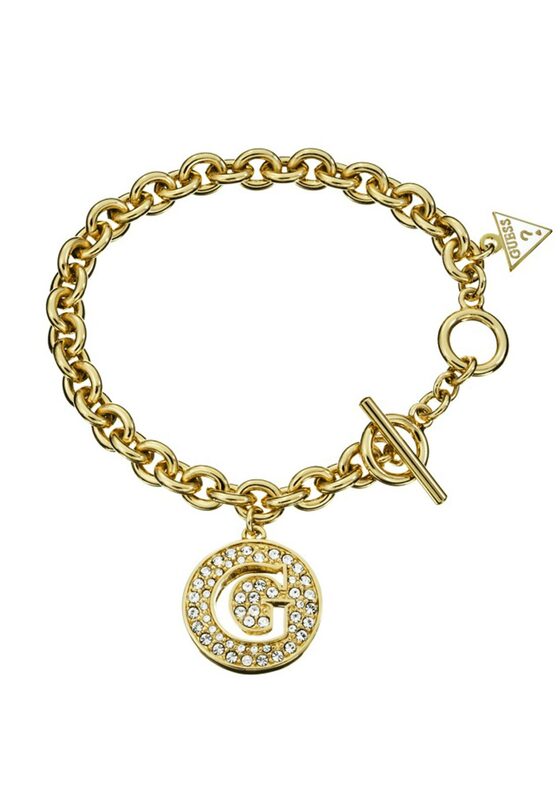 Look gorgeous in gold with this stunning chain bracelet from Guess. This chunky chain linked bracelet hold a hanging cut out G coin pendant encrusted with clear pave stones. The guess logo appears on the reserve side of the pendant as well as the white enamel triangle located by the T-bar closure. It sparkles in the light and will have you looking like a shining star.